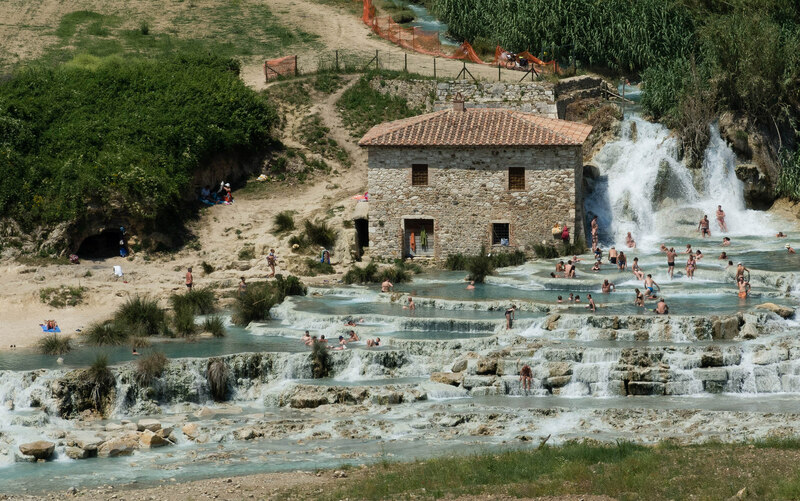 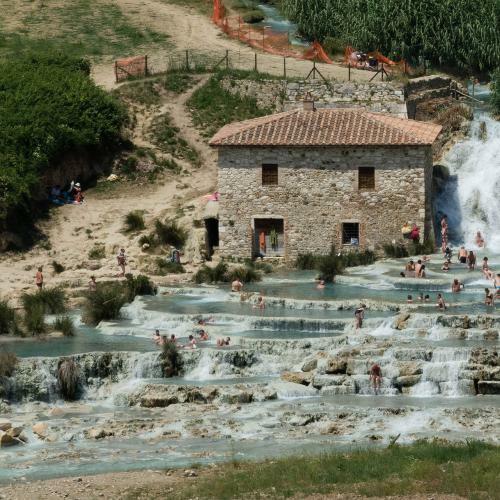 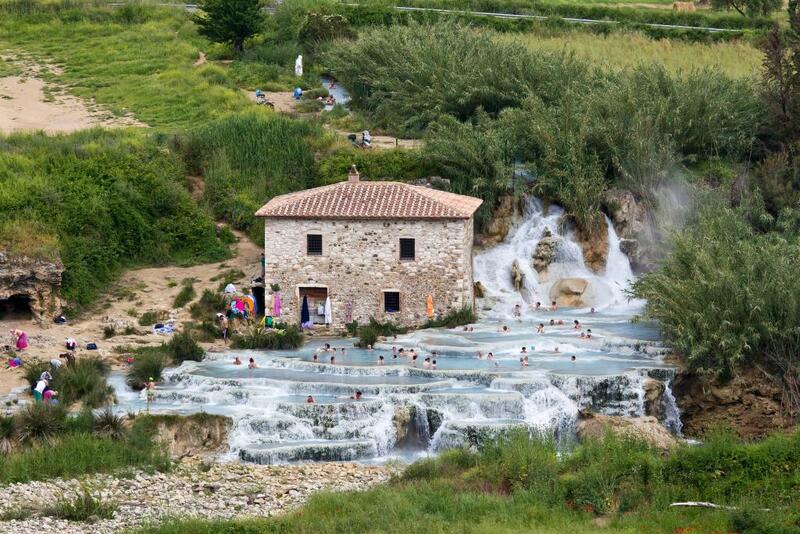 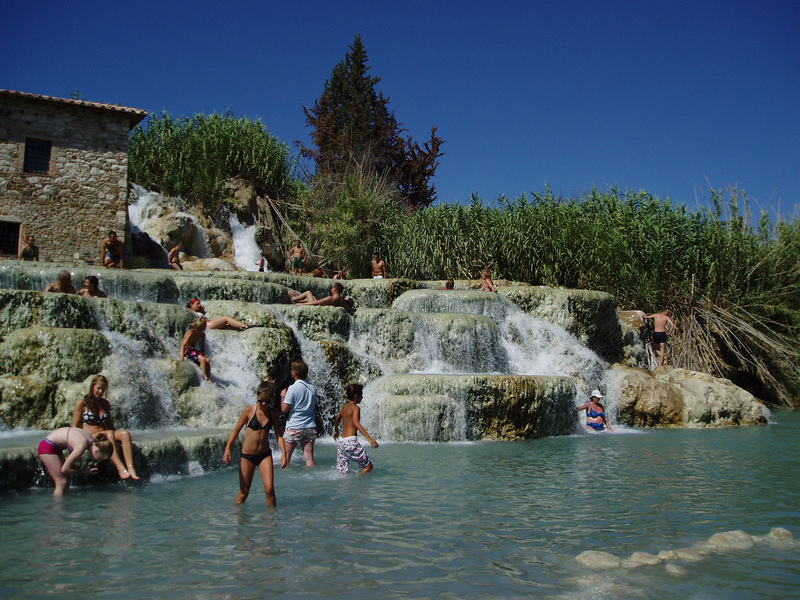 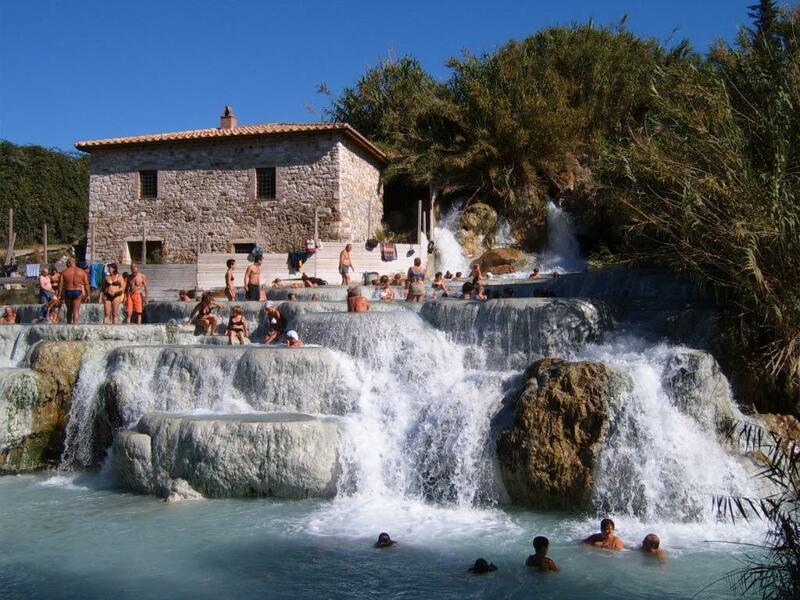 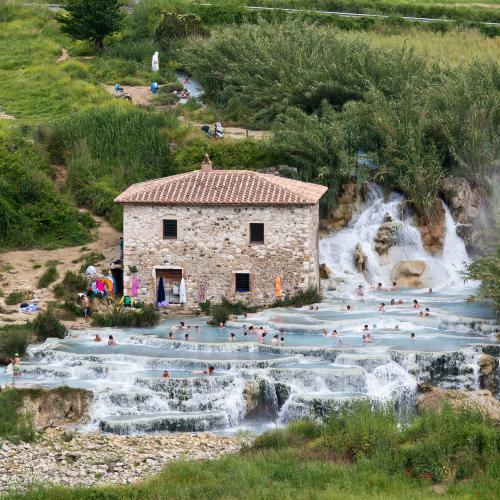 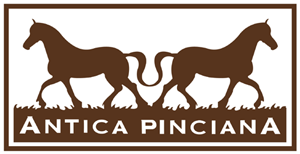 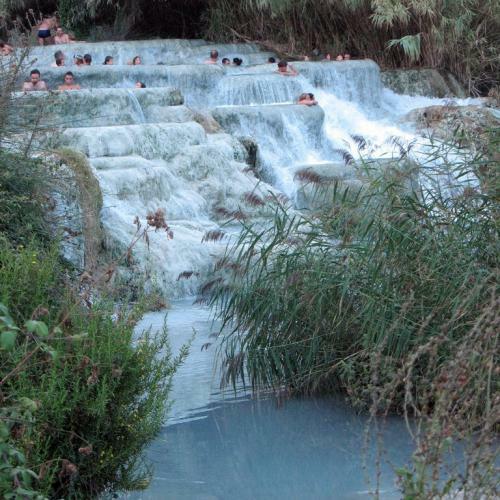 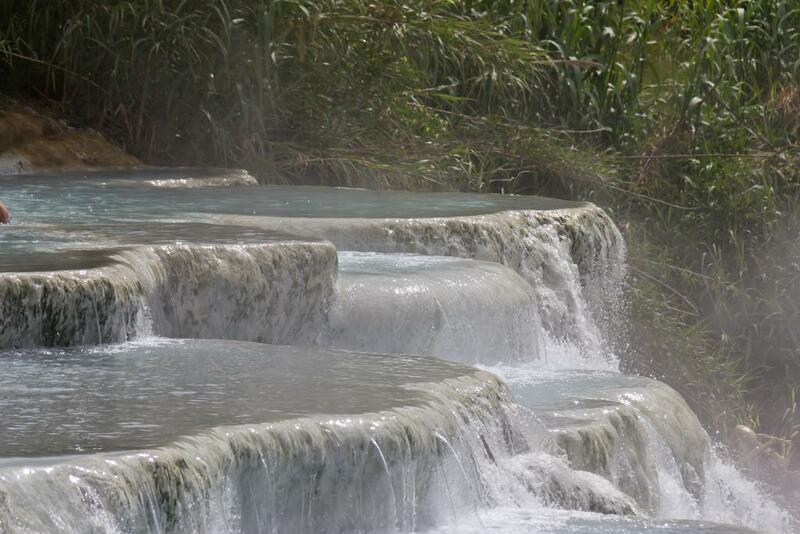 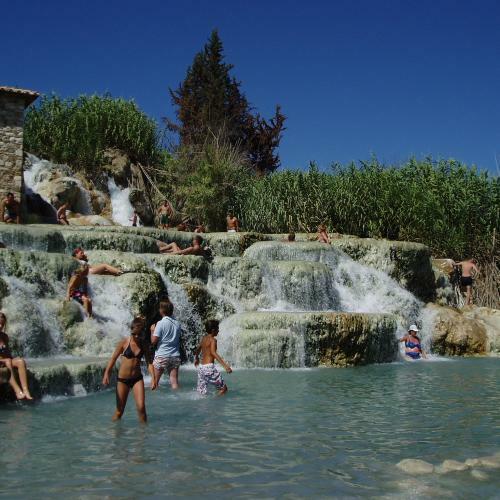 In the immediate vicinity are the Terme di Saturnia, four outdoor thermal pools, with whirlpools and vascular paths of cold and warm water, the Park of the Terme di Saturnia pools, is certainly one of the largest in Tuscany. 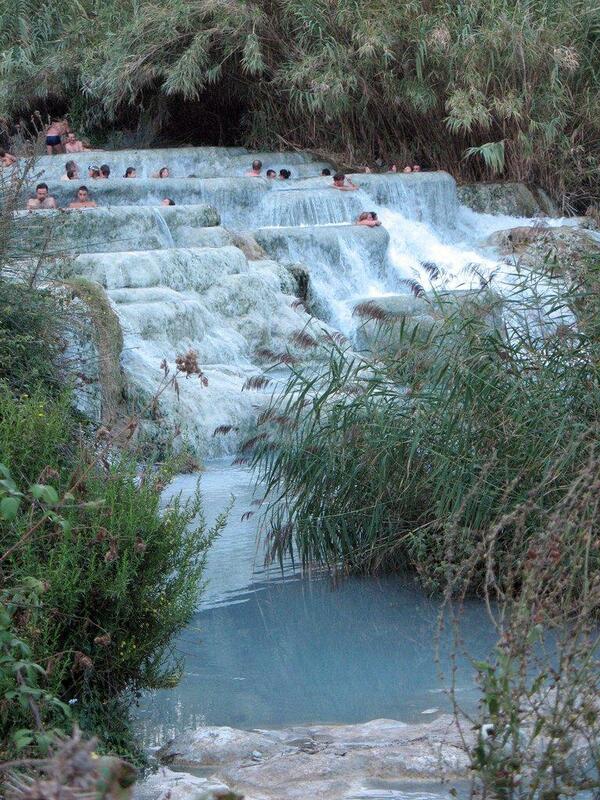 An oasis of true relaxation. 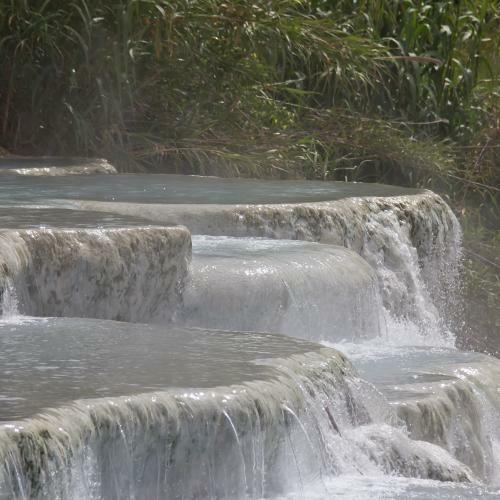 The sulphurous waters at a temperature of 37.5°C have therapeutic properties and will give you relaxation and well-being. 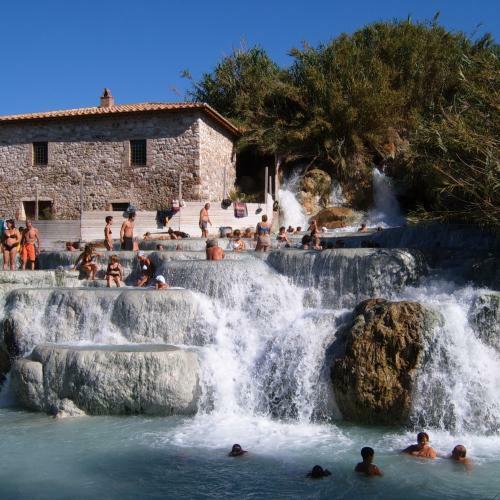 The main waterfalls, and the most famous ones, are those located in an old mill, very scenic and free.